We have located BF307 for you, which can be found in the next tab. For more detail on the position it fits on your vehicle and any advice notes their may be, and further parts, select your specific vehicle from the search panel to the left. 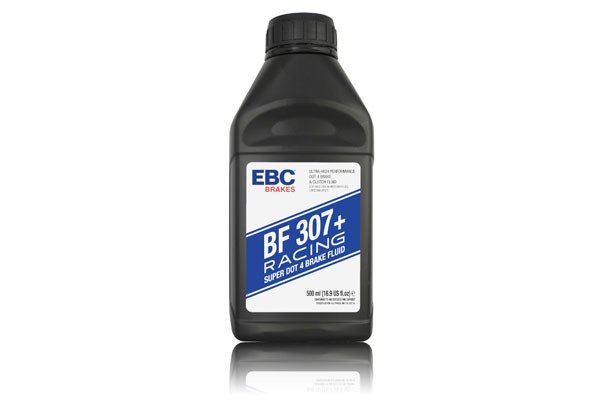 BF307 racing brake fluid for use in race conditions where brake systems operate at very high temperatures. For best results bleed system with fresh fluid before each race. Do not mix with other brake fluids. Performance may be compromised. DOT 4. Typical Dry Boiling Point: 310°C (590°F). Min. Wet Boiling Point: 195°C (383°F). Not suitable for vehicles with mineral oil systems. If in doubt consult vehicle handbook. Not for use with components made from magnesium or alloys with high magnesium content. Contains polyalkylene glycol ethers and ether esters. Keep out of reach of children. If swallowed, call doctor immediately and have container or label at hand. Avoid skin and eye contact. If in eyes rinse cautiously with water for several minutes. Remove contact lenses if present and able to. Continue rinsing for at least 10 min. If eye irritation persists get medical advice. NOT AVAILABLE INDIVIDUALLY - AVAILABLE IN 6 PACK ONLY.